It's about that time for an Instagram Round Up! I haven't done one in over a month and I'm on vacation so sorry, but not sorry, we are out hiking instead of shooting an outfit. Luckily I post so many outfits to my Instagram that I have a bunch a fun fashion to share today. Why do I post so many outfits to Instagram? Well, Instagram brings a lot of traffic to the blog and it is my only source of self promotion via social media (I don't have Facebook, Twitter, Snapchat, etc). 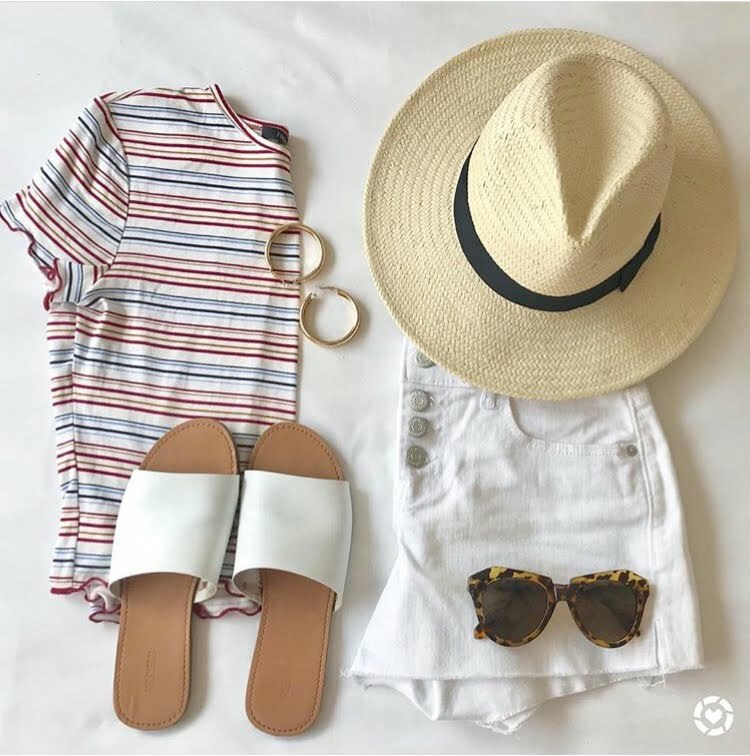 I link most of my outfits through the Liketoknow.it app which allows you to shop every picture I post via links directly to the item I'm wearing. I will be back next week with a travel post about our trip!